Welcome to Fortifying Friday—the day we focus on encouraging writers in their journeys to publication and feature guest authors who share their own success stories. If you’re discouraged by hearing that the genre you want to write just won’t sell, you’ll be particularly interested in Laurie Alice Eakes’ personal story. That is a brief paraphrase of my first rejection from a Christian publishing house. Discouragement followed, not because I am a wimp who can’t take rejection, but because I so wanted to write historical romantic suspense set in the English Regency era and this looked like a negative referendum on my dream. Crazy dream? In 2004, absolutely. The Christian market wanted books set in the United States and preferably the Mid West or true West states. Without a track record, a dishearteningly few authors were selling outside those locations. So I was probably silly to waste my time writing such a book, let alone wasting my agent’s time with it. Yet I’d attracted my agent with my interest in the time and place. I guess she likes my writing, too, and we held a common interest in the Regency era. Mind you, I’m not talking Jane Austen. I’m talking Georgette Heyer, Patricia Veryan, Clare Darcy, and other twentieth century greats of the subgenre of historical romance. They were my literary favorites since I was a teen, the authors whose works inspired me to write. So this sales committee hadn’t dissed only my efforts; they had dissed my favorite writers, too. In response, keeping my courage up, I wrote a contemporary romance with suspense elements. It was what was selling. The less said about that rejection the better. I’d obviously misunderstood my calling to be an author. Then my agent suggested I write a Regency for Avalon, secular, but clean. So I did—and sold it. It won the National Readers Choice Award, and I managed to sell a few Americana titles to Barbour’s Heartsong Presents line and another book to Avalon. Heart pounding, I took another chance and proposed a historical romantic suspense story with an English hero, a man who might have been a Regency hero in another setting other than Virginia in 1809 (Yes, I know that technically the Regency is 1811-1820, and publishing stretches out that era). It sold in a mere handful of weeks, and the publisher wanted more from me. They wanted a Regency series from me. I wrote up a proposal, submitted it, and sold The Daughters of Bainbridge House series to Baker/Revell. 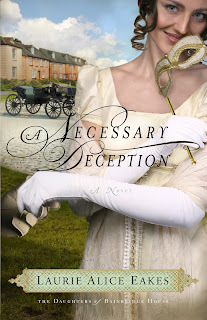 A Necessary Deception has just been released, my first inspirational Regency. Now that dream to sell historical romantic suspense has come true many-fold times—two set in Virginia, the high seas, England, Guernsey, and France, and a three-book Regency series. I’ve sold Barbour a couple of novellas in my other favorite era—the colonial period. The lesson here is so simple it’s cliché and trite: Don’t give up on writing what you want to write. You may need to compromise a tiny bit to pay your dues in the publishing business and earn a track record, and my experience is not unique. It’s the tale of perseverance and believing that, if you are called to reach an audience in a specific way, then God will make it happen. We get told this again and again and not believing it is discouraging; however, many of us are living proof of dreams coming true. Award-winning author Laurie Alice Eakes wanted to be a writer since knowing what one was. Her first book won the National Readers Choice Award in 2007, and her third book was a Carol Award finalist in 2010. Between December of 2008 and January of 2010, she sold thirteen books to Barbour Publishing, Avalon Books, and Baker/Revell, making her total sales fifteen. 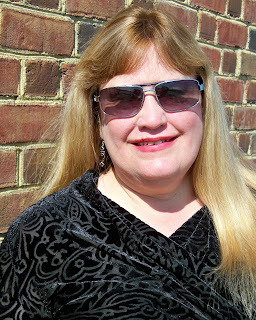 Recently, she added two novella sales to that collection, as well as having her first book with Baker/Revell, Lady in the Mist, picked up by Crossings Book Club, and six of her books chosen for large print editions by Thorndike Press. She has been a public speaker for as long as she can remember; thus, only suffers enough stage fright to keep her sharp. 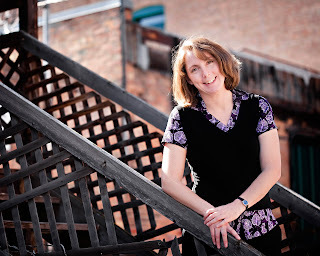 In 2002, while in graduate school for writing fiction, she began to teach fiction in person and online. She lives in Texas with her husband, two dogs, and probably too many cats. Ocieanna here. It’s my turn for This and That Thursday, and I want to stick to the topic of prayer I began last month. I know this writer needs it! I love this quote! I don’t know if CS Lewis was referring to his writing life when he said it, but it sure applies to my authoring journey. There are times when I’m too exhausted to write. Perhaps life with four kids overwhelms me—it happens. Other times I’m just physically exhausted, needing to rest when I’d rather be writing. Those of you with physical ailments can relate to the frustration of wanting to sit at the computer and gush heart-truths onto paper, but having to restore strength to a weak body instead. Sometimes I’m mentally wiped out. I homeschool, and at times my brain is so full of thoughts about curriculum, a certain child’s need to improve in a subject, how to fulfill the requirement for sports or music, and more, I just can’t produce a creative thought. Yet, I’ve made commitments to write. I have a column, this blog, a deadline for a novel, speaking engagements. Whether I have the energy or not, I need to fulfill those commitments. You know what? As difficult as those moments when I don’t feel like I can write another word are, I’m grateful for them. When my need for God grows desperate and I realize I have zero ability to bless others with my words on my own, that’s when I most remember where my hope comes from…and I pray. Like CS Lewis. I pray because I’m helpless. 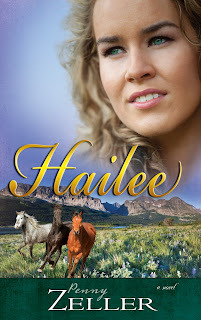 When I was writing my first book, Love Finds You in Lonesome Prairie, Montana, I had a short deadline and a raging migraine. I envisioned myself trudging over rocky cliffs in a thick fog, trusting God to show me each next spot to place my foot. Oh how I prayed! And He answered. I made it through without plunging to my death—the book was completed on time! Since I was in a helpless place, I have no doubt it was because of God’s grace alone. When our strength is gone, God becomes our strength. Good morning! It’s Ask O Wednesday. Last week we featured part one of a look at writing in scenes. My first tip was to ask, “How will this fit into a scene?” Second, “Think chronologically.” This week we’ll finish up with three more keys to creating compelling scenes. Enjoy! Third, don’t forget conflict. Once I know what’s going to happen, I make sure to pile on the stress. A scene is nothing without it! Asking what the character wants and why she can’t have it helps to formulate conflict into images, actions, and dialogue. Fourth, climb to a climax. I like to draw a triangle for the scene. The tip of the triangle is when everything changes—my heroine overcomes the obstacle and gets what she wants … or (even better) she doesn’t get what she wants but must figure out a way to reach her goal in a different way. It could be an external event, like a whale crashing into her kayak (my next book is about Alaska), an internal struggle, like doubting she’ll ever fit in among the other Alaskan homestead wives, or a combination of both external and internal. Finally, provide relief. The climax isn’t the end of the scene (although it can be the end of a chapter—breaking at the climax leaves a suspenseful end that will make readers stay up for “just one more chapter.”) We still need that satisfying resolution. Even if it’s not a happy resolution, it needs to makes sense and release the tension created by the climax. Time to move on to the next exciting scene. So you see, writing in scenes provides a satisfying framework for our stories. Let me know how these tips work in your writing. And don’t forget to leave your questions in the comments or at my website, ocieanna.com. Let me know what you’d like to discuss. Ask O! To give the soul fit nourishment. Some people don't like the rain. They mutter and fuss about getting wet or chilled. Personally, I love rainy days. I like to put on my slicker and boots, and then take long walks. Lately I haven't been able to walk as much as I like because of my physical problems, but I still love the rain. 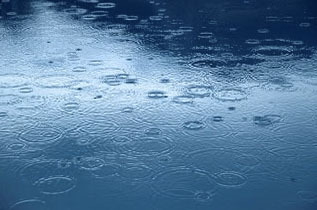 Have you ever noticed that the world looks different in the rain? Colors are more brilliant. The trees and grass are greener; flowers seem to emerge from the ground in an instant. The world is still. The air is pure and sweet. And in the background, the gentle sound of rain. One of the first art classes I took in college was painting. In that class we studied how all colors look differently depending on the colors that surround them. Do you know why colors seem brighter on a rainy day? Because they are surrounded by gray. Gray sky. Gray clouds. Gray rain falling down. The dull, dark background makes colors pop! "... we rejoice in our sufferings, knowing that suffering produces endurance, and endurance produces character, and character produces hope, and hope does not put us to shame, because God's love has been poured into our hearts through the Holy Spirit who has been given to us." A friend of mine had a son with Down's syndrome. He was a beautiful child with sunny blonde hair and a bright smile. But having a special needs child did have its trials. One day she showed me a newspaper clipping that someone had given her after her son was born. I don't remember a lot about the article, but the gist of it was that this child had been given to her because God knew that she was the only one able to care for him. Her son died of complications about a year later and my friend moved away, but I've always wondered if her life is any sweeter because of her son's short life. I know mine is. As writers, it may seem that our troubles affect us more prominently. (Creative people are more prone to depression for some reason.) But who knows – these trials may be given to us so that we can write about them and help someone else. Have you ever written about something you’ve gone through and found out later that it helped someone? If you have, I’d love to hear about it – feel free to share by leaving a comment. * Stedman, Edmund Clarence, ed. A Victorian Anthology, 1837–1895. Cambridge: Riverside Press, 1895; Bartleby.com, 2003. www.bartleby.com/246/. Hi readers, Annette here. Do deadlines paralyze you or energize you? My creativity goes into hiding when I'm on deadline. Today Jennifer Slattery concludes her series by discussing inspiration. Enjoy! The other day I spoke with an aspiring writer dealing with fizzled creativity. She felt God nudging her to write for an international ministry. The doors were wide open for her to do so, but her brain slammed shut. Staring at a blank computer screen, she became convinced she couldn’t write. Seriously, if you’re a gifted writer—if writing is your calling--shouldn’t it come easily? Sometimes. Until you hit your first deadline. If it were up to me, I’d never write on assignment. I much prefer writing what I want when I want, then sending it off in the hopes I’ll get a bite. Minus the rather frustrating fact it may never get published. Having talked with numerous authors making the transition from seat-of-the-pants writing to deadlines and assignments, I’ve found others experienced similar struggles. There are numerous reasons for this. The first is pretty obvious—you’re no longer writing to please yourself. Now, you’ve got an audience. A very important audience—your editor. Suddenly you question your ability to perform and fear of failure creeps in, deadening your creativity. When this happens, it’s important to step back and regain perspective. You’re editor doesn’t expect you to be the next Jerry B. Jenkins or Beth Moore. He expects you to do your best to deliver what you’ve promised. Releasing false expectations helps release your creativity. Here’s why: deadlines and assignments stimulate the left side of your brain—the linear, logical, rational side, often stifling the creative, big-picture thinking right side. The trick, then, is to recognize the reason for your frustration before declaring defeat. Then, engage in right-brain stimulating activities like brainstorming, free-writing, viewing or creating art, or listing to music. Once your muse begins to arise, return to your assignment and press through. Over time, your right and left hemispheres will begin to work together more effectively. It’s also helpful to start your project early, scheduling in plenty of wiggle room. Although some writers thrive under pressure, most feel like an overinflated tire shoved into a two-inch cube, largely because of the left-brain, right brain problems I discussed earlier. Allowing yourself time to free-think and writing during your most creative moments instead of on-demand will help eliminate creativity-sapping pressure. Then, once you submit your piece, be prepared to release it, and recognize everything’s a work in progress. Basically, expect a lot of red and determine to put the piece above your personal feelings or preferences. Unless you disagree with suggested changes on an ethical or theological level, let them slide, recognizing your editor’s wisdom gained by experience. “I had an editor (not my current) who had me remove every metaphor in my book,” said Vannetta Chapman, author of Falling to Pieces (Zondervan, 2011). “Yes, you read that correctly! After three days of walking around, wearing a rubber band on my wrist, and snapping it muttering, "Metaphors, bad!" I went through my manuscript and took them ALL out. Why? Because I decided that editor knew their readership better than I did.” Vannetta’s decision to cooperate paid off. Turned out, her editor really did know what she was talking about, and because Vannetta responded with a teachable spirit, her debut novel became a CBA best seller and Vannetta became known as a team player. Our actions say a lot about who we are, and often, our actions precede us. An author with long-term vision is more concerned with their reputation for quality writing, perseverance, and dedication to the project (not themselves) than with making that single sale. They view editors not as gatekeepers but as co-laborers. 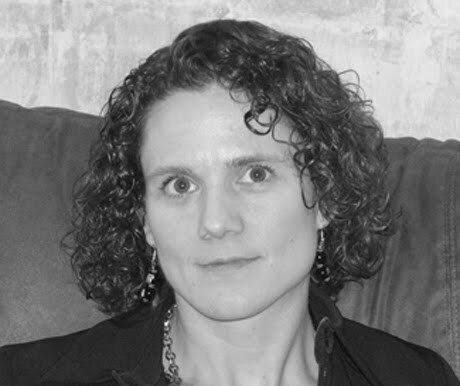 Jennifer Slattery is a novelist and freelance writer living in the midwest with her husband of sixteen years and their thirteen year old daughter. 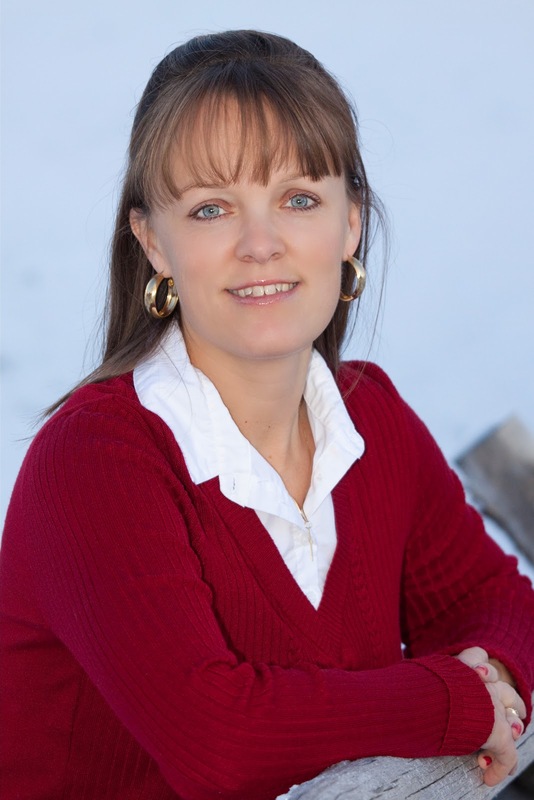 She works for Tiffany Colter, the Writing Career Coach, and is the marketing manager for the literary website, Clash of the Titles. She writes for Christ to the World Ministries, the Christian Pulse, and Samie Sisters and has written for numerous other publications, E-zines, and websites including the Breakthrough Intercessor, Bloom! Afictionado, the Christian Fiction Online Magazine, Romantic Times Review, Pentalk, the Barn Door Book Loft, the Write Conversation, and Granola Bar Devotions. Catch one of her faith-stirring devotionals at Jennifer Slattery Lives Out Loud and find out more about her critiquing and marketing services at Words That Keep. We may dream of living in a cabin in the mountains, a cottage on the beach, or a penthouse apartment in New York with no responsibilities except to write. But that’s what it is—a dream. We all fight to balance our time while trying to take care of our families, day jobs, and volunteer responsibilities. This Fortifying Friday, author Penny Zeller is here to encourage and offer tips to moms who also happen to be writers! Enjoy! 1. Pray. Each morning before I climb out of bed and face a day of mothering, chauffeuring kids to after-school events, housecleaning, volunteering, and writing books, I ask the Lord to prepare my heart. I ask that He guide my day, that I would use my time wisely, and that I would get accomplished only what He would have me do that day. 2. Get your priorities straight. Children grow up so fast and I don’t want to regret the time I spent on things that weren’t important. What is really important are those eternal differences we make in the lives of others, particularly our family members. My husband and my children are my main ministry, and I have to remember who comes first (after the Lord) in this life of busyness. But then, how do I make time for my career? 3. Be deliberate. I have to be deliberate about putting aside time for my writing. I work while my children are in school and then quit for the day when they come home. 4. Don’t get sidetracked. So many things to do on the computer and so little time! Emailing, Facebooking, tweeting, blogging, Linking in—who has time for it all? And I can get sidetracked at the drop of a hat! I have to keep my focus or I’ll look back on the day and realize nothing of consequence was accomplished. I have found that making a list of things I need to do for the day in order of importance is helpful. 5. Make a poster. I taped a homemade “office hours” paper to my office door and try hard to adhere to those writing hours when my children are in school. I have posted these writing hours, not so much for visitors, but for myself. It reminds me that if I don’t set aside time for my writing, it will be spent doing a host of other “unnecessary” things (see point #4). So, there you have it. And now, I must tend to those dirty dishes in the sink. Ah, balancing writing life and chores. Now that’s a topic for another time! Ask O: How Do I Get Unstuck?